This week’s On The Radio segment looks at Des Moines mayor Frank Cownie and sustainability initiatives he has led in Iowa’s capital city. 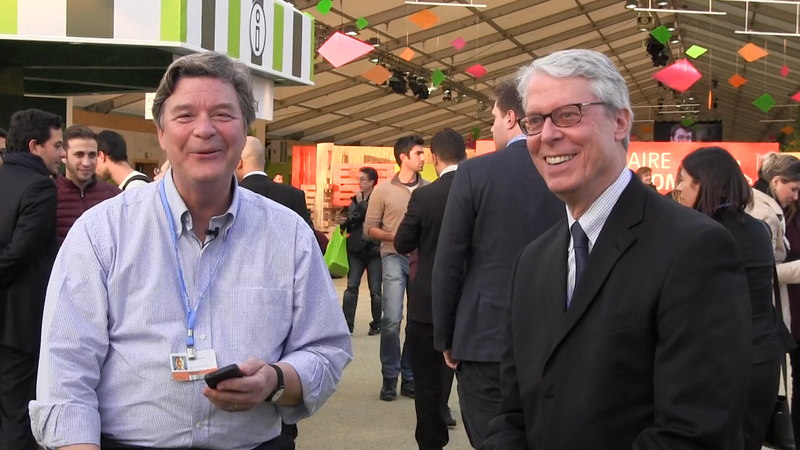 Des Moines Mayor Frank Cownie was among more than 500 mayors from around the world in Paris earlier this month as part of the COP21 international climate conference. Mayor Cownie sat down with University of Iowa civil and environmental engineering professor Jerry Schnoor at the international climate conference in Paris to discuss ways that city governments can help in the global effort to reduce carbon emissions and also to discuss specific initiatives taken in Iowa’s capital city. One such initiative was Des Moines’ LEED platinum-certified World Food Prize building, which at the time of its opening was the largest single-owner, single-occupant LEED platinum building in the world. 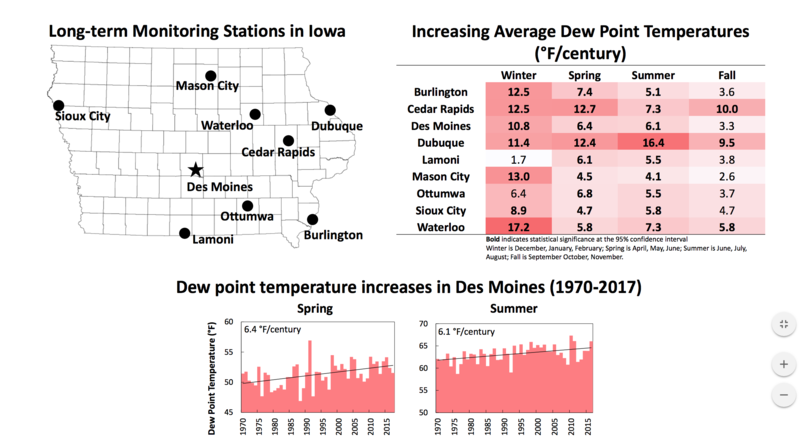 Des Moines was also one of the first cities to the sign the Compact of Mayors agreement, which is an accord by mayors from roughly 120 cities across the United States that have responded to the president’s plea to address climate change through local government initiatives. Cownie said he thinks that the smaller size of city government makes it easier to implement certain measures compared to state and federal initiatives. For full text and video from the interview with Mayor Cownie, visit Iowa-Environmental-Focus-dot-org. 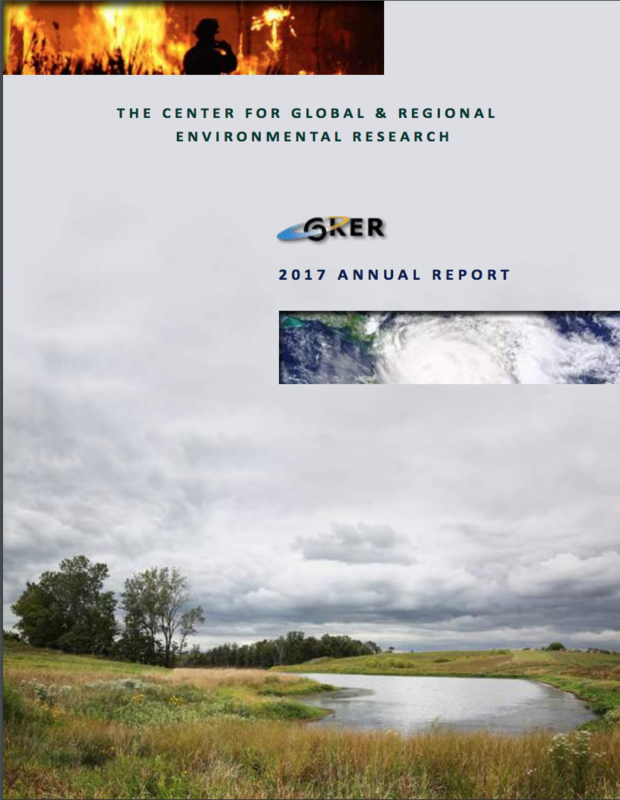 From the UI Center for Global and Regional Environmental Research, I’m Nick Fetty. 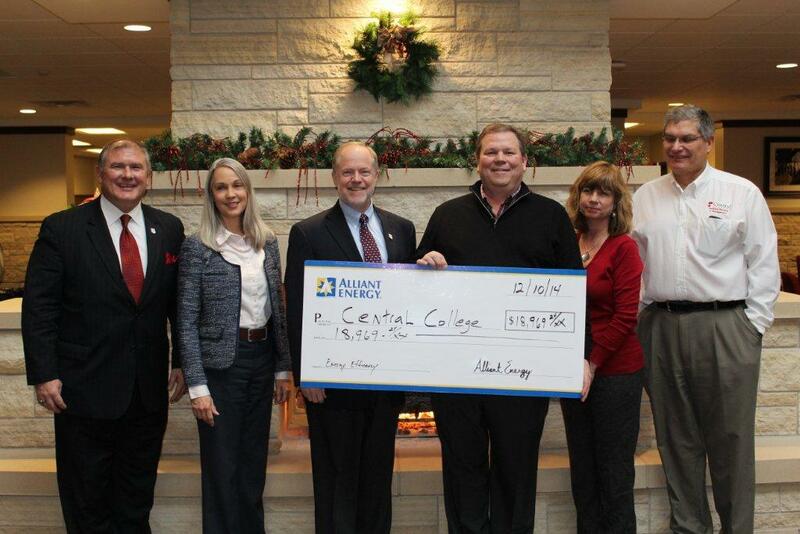 Earlier this month Iowa’s Central College received a $18,969 rebate from Alliant Energy for energy efficiency projects on campus. The college recently installed new insulation in Gaass residence hall as well as an energy-efficient heating, ventilation and air conditioning (HVAC) system in the Maytag Student Center. Both of these projects were financed with assistance from Alliant Energy’s custom rebate and new construction energy programs. These efforts are expected to save the college nearly 25,000 therms of natural gas annually. Additionally, these efforts will reduce carbon dioxide emissions by 132 metric tons each year, the equivalent of removing about 28 percent of passenger vehicles from Iowa roadways. In 2003, Central’s Vermeer Science Center was the first building on an Iowa campus to achieve Leadership in Energy and Environmental Design (LEED) certification after then president David Roe signed the Talloires Declaration on sustainability . The college is also working toward eventually powering its entire vehicle fleet using photovoltaics. 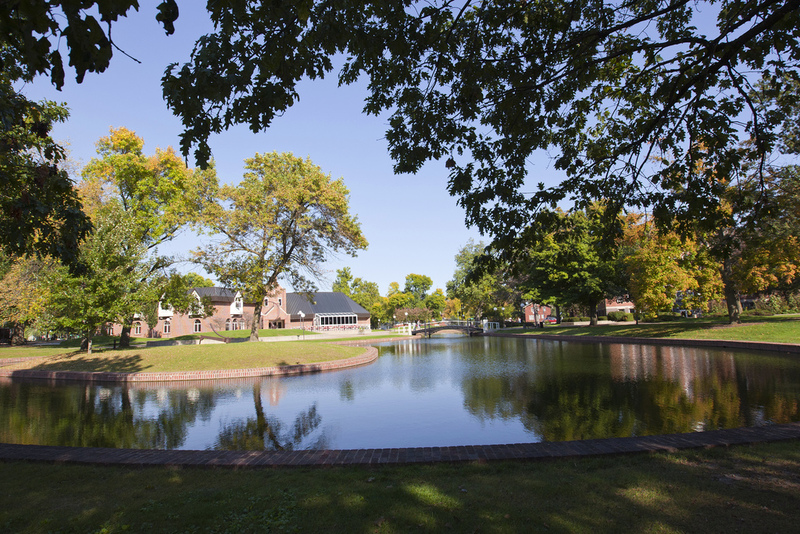 Earlier this year Central became the fourth school in Iowa to join the Alliance for Resilient Campuses which aims to adapt to the challenges of climate change and promote sustainability. 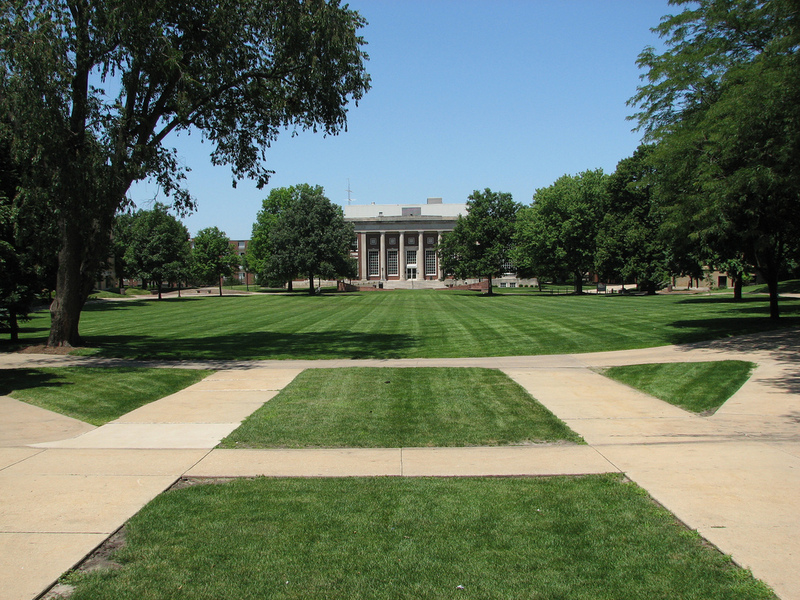 Central College is a private liberal arts college with 1,386 students located in Pella, Iowa. 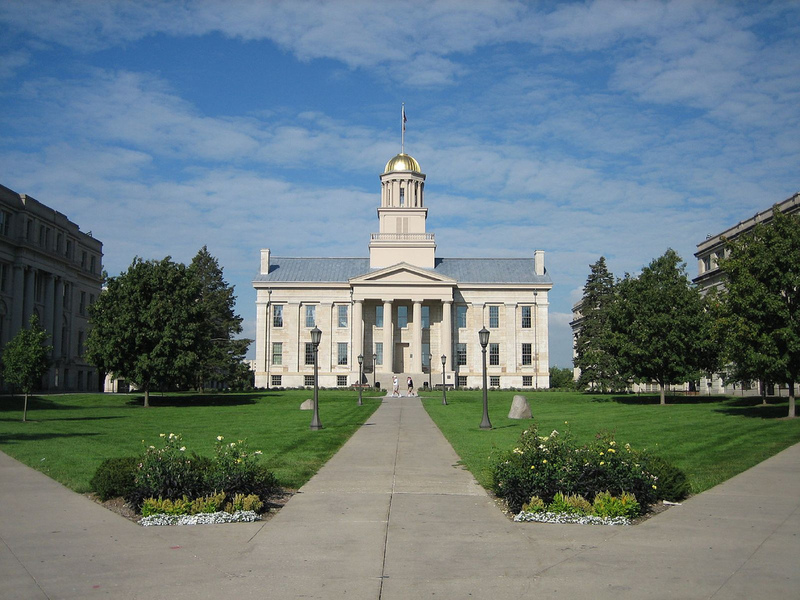 The Old Capitol Building on the University of Iowa campus. The University of Iowa’s new Pappajohn Biomedical Discovery Building (PBDB) is the first building on campus to feature a green rooftop. Crews began planting various perennial sedums – such as black-eyed Susan alliums, liatris, and hostas – in the spring. These plants are expected to provide several perks from a social and aesthetic perspective to environmental and sustainability benefits. The green rooftop is expected to not only save money on energy costs but also help to control water runoff and mitigate erosion. This rooftop greenery was key to the PBDB receiving gold-level LEED certification. The University of Iowa has two buildings with platinum-level LEED certification and six that have achieved gold status. 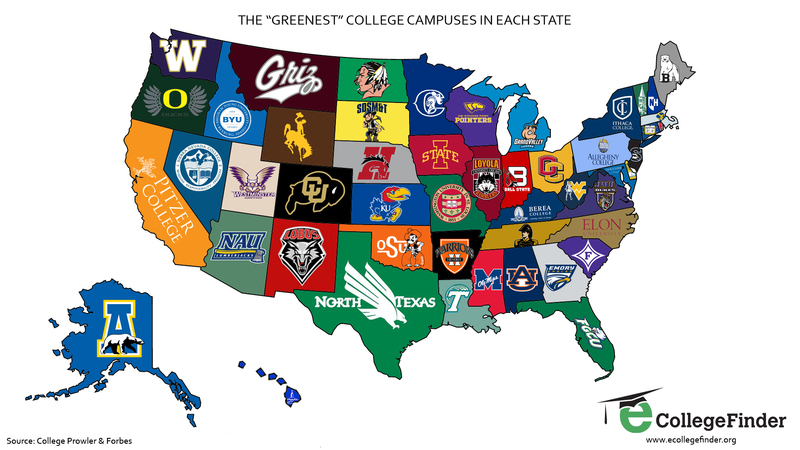 A recent list compiled by College Prowler ranked the University of Iowa the 279th greenest college campus in the nation and 6th amongst colleges in Iowa. However, the PBDB will not be the only building on campus to utilize a green roof. The new Art Building – which is expected to be completed by 2016 – is projected to include a 14,600-square-foot rooftop garden, more than double the size the garden (6,440-square feet) on PBDB’s roof. The PBDB open earlier this month and is expected to be fully operational in the coming months. Chipotle Mexican Grill has announced plans to purchase more than 20 million pounds of locally grown produce for its restaurants this year, up from 2013’s goal of 15 million pounds. The Denver-based restaurant chain will rely on 45 local farms around the country to provide bell peppers, cilantro, jalapeno peppers, oregano, red onions, romaine lettuce, and tomatoes when seasonally available. Locally grown avocados and lemons will also be available at select locations. Recent reports show that consumers are embracing locally grown produce initiatives at restaurants and grocery stores. Locally grown produce was listed as #2 for Top Trends according to the National Restaurant Association’s 2014 Culinary Forecast. The National Grocery Association 2014 Consumer Panel found that 87 percent of consumers regard the availability of locally grown produce as “very/somewhat important” during grocery store visits. Chipotle has been environmentally sustainable with other efforts such as serving more Responsibly Raised meat than any other restaurant company in the country as well as opening the nation’s first platinum LEED-certified restaurant. Despite these efforts, Chipotle has received criticism for importing beef from Australia and also for misleading advertising campaigns. 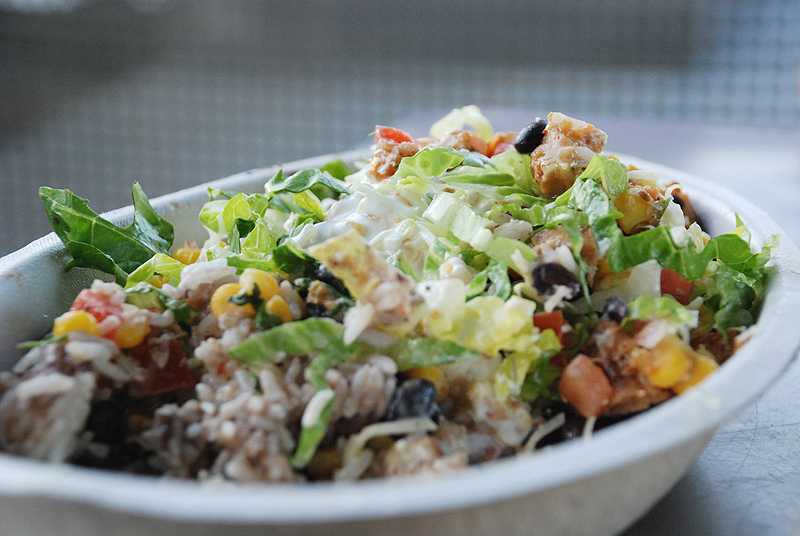 There are more than 1,650 Chipotle restaurants nationwide with six locations in Iowa.